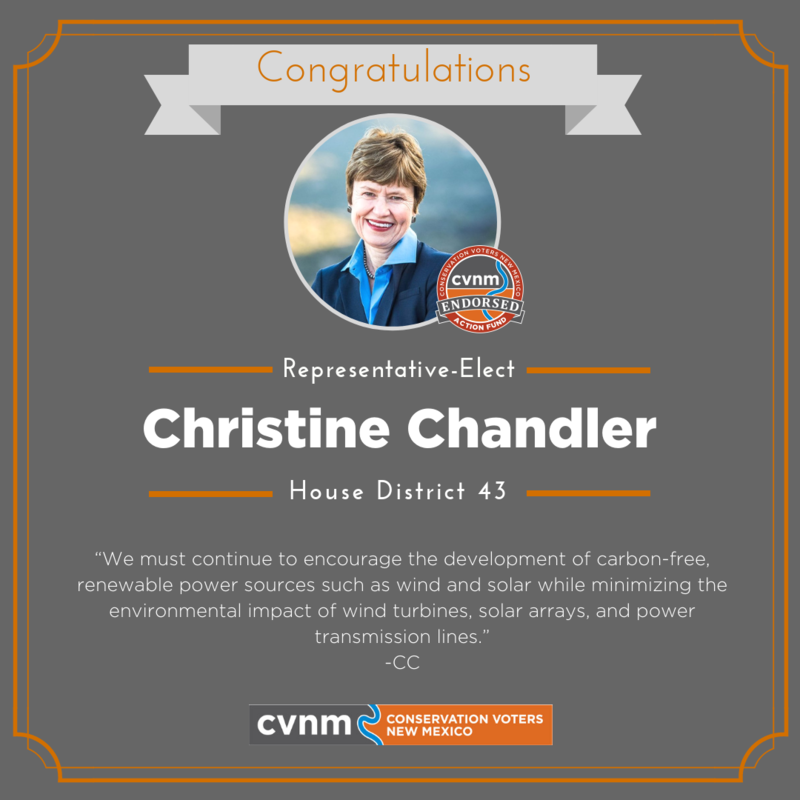 Thank you for visiting CVNM’s Election Night live blog. 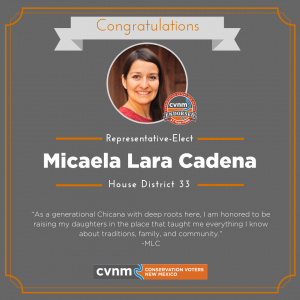 Our communications team, Liliana and Adrian, will be sharing outcomes of the 30 races we engaged in up and down the ballot beginning at 7 p.m. MT, Tuesday, Nov. 6. 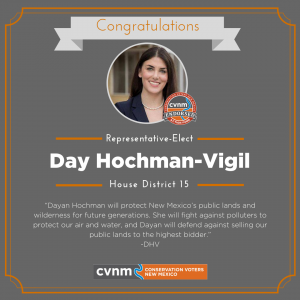 Our election work shows that for our air, land and water – who we elect matters! 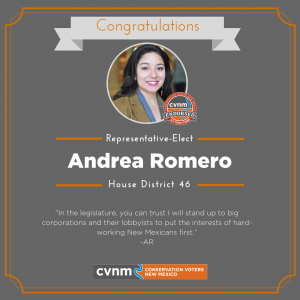 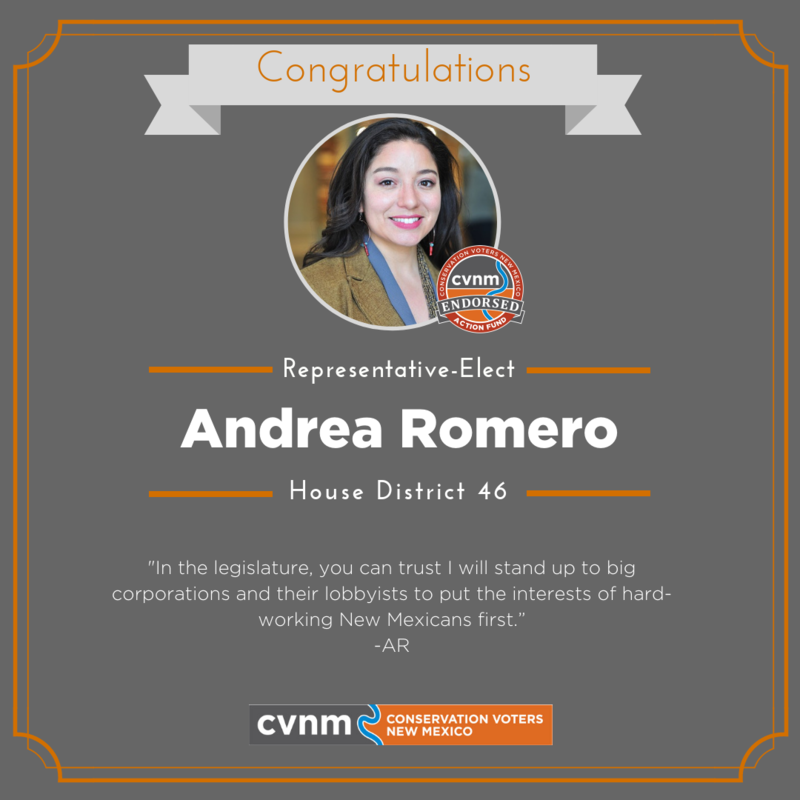 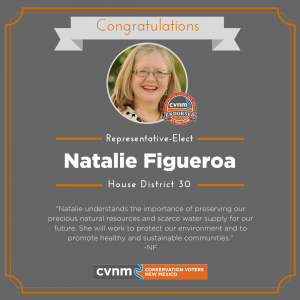 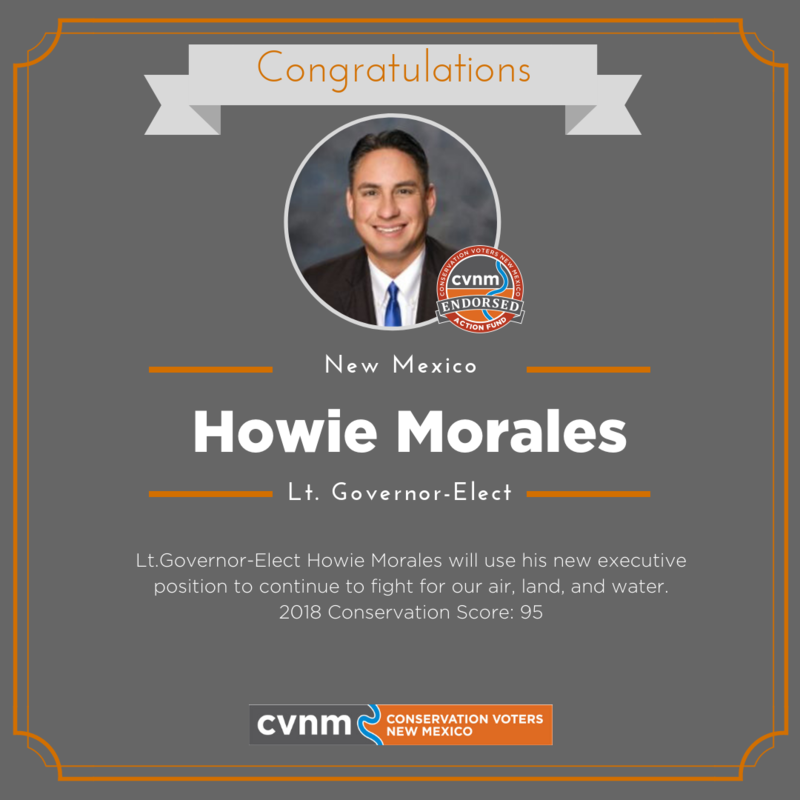 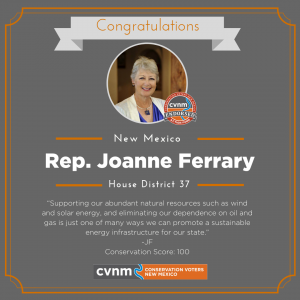 CVNM endorsed in 26 House races, and 20 conservation candidates were successful in their races on election night, translating to a net increase of seven pro-conservation candidates in the House.Willie Madrid, HD53, will be replacing an Orange (Usually Anti-Environment) leader while Abbas Akhil, HD20, will be replacing a Yellow (Persuadable) leader. Both will add two very important conservation voices to the House! 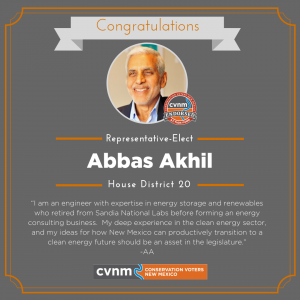 Congratulations to Abbas Akhil on his WIN in HD20! 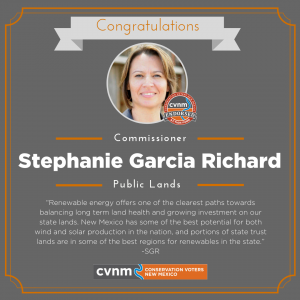 Bernalillo County now has a clean energy expert and conservation advocate in the House. 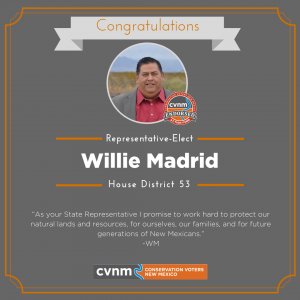 Congratulations to Willie Madrid on his WIN in HD 53! 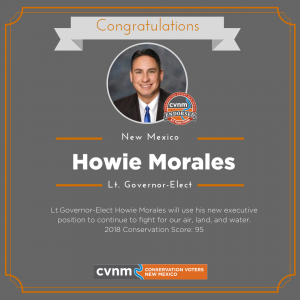 Willie will be a new conservation voice for Dona Ana County. 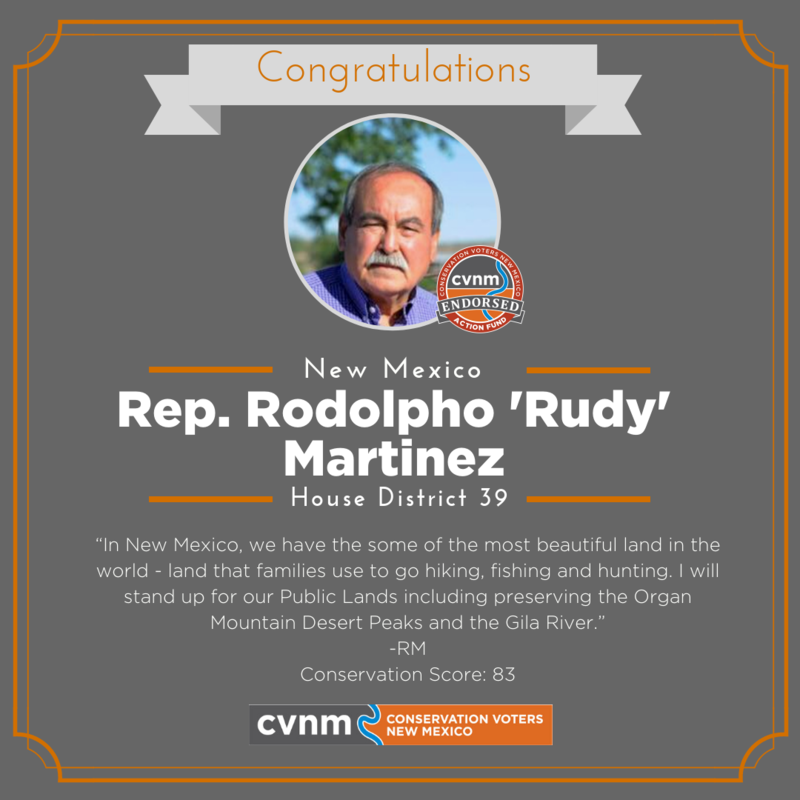 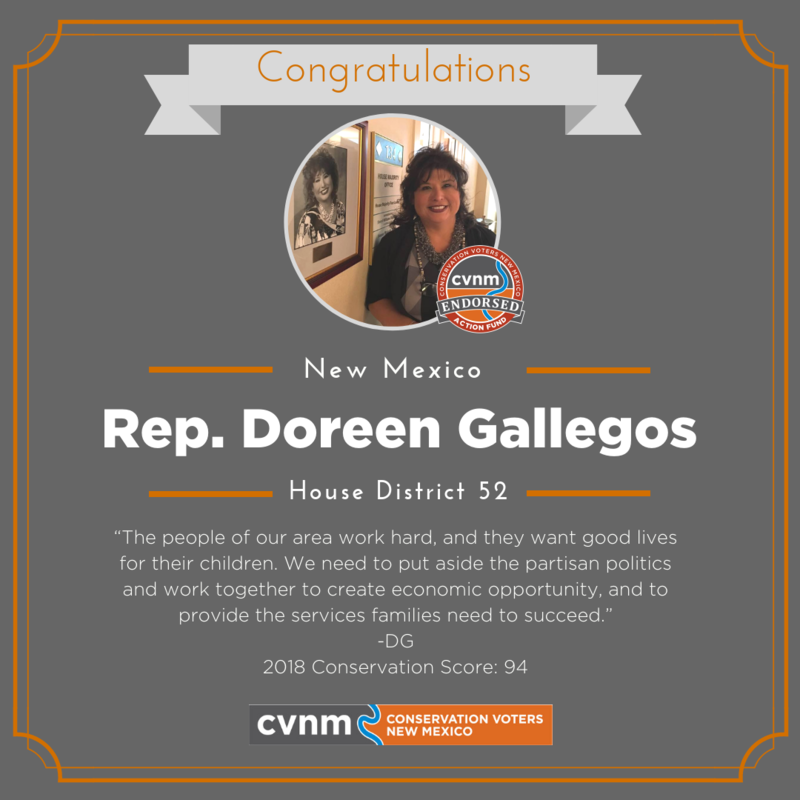 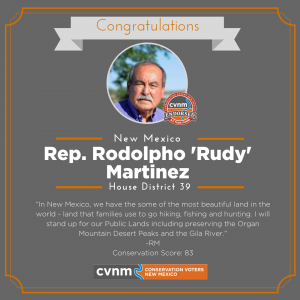 HUGE wins for Conservation Champions Majority Whip Rep. Doreen Gallegos, Rep. Nathan Small, Rep. Rodolpho 'Rudy' Martinez and Rep. Christine Trujillo! 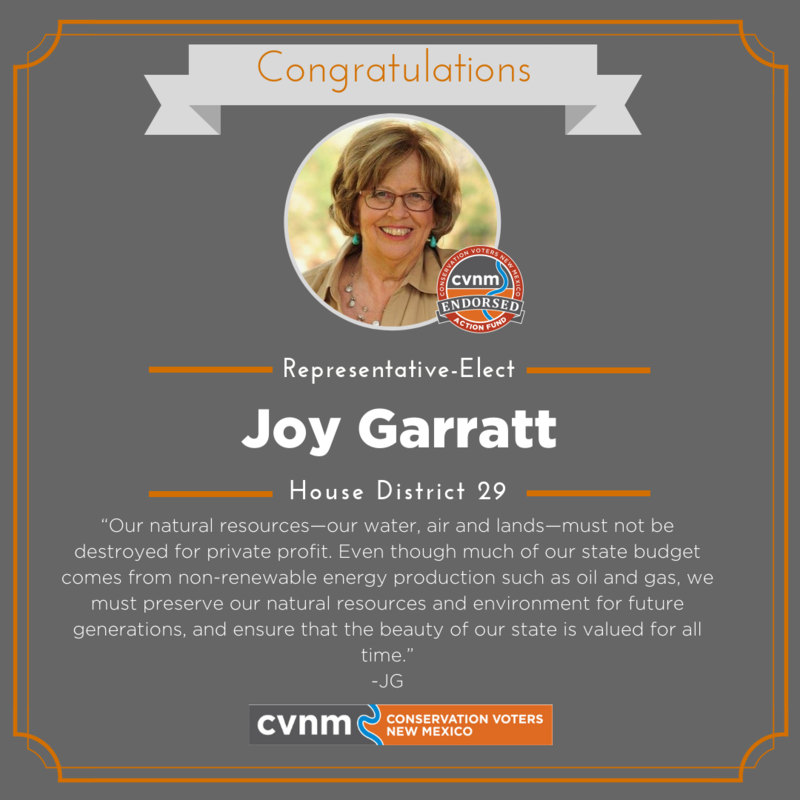 These proven leaders will continue to advocate for our air, land and water.We're thrilled to announce new conservation voices in the House! 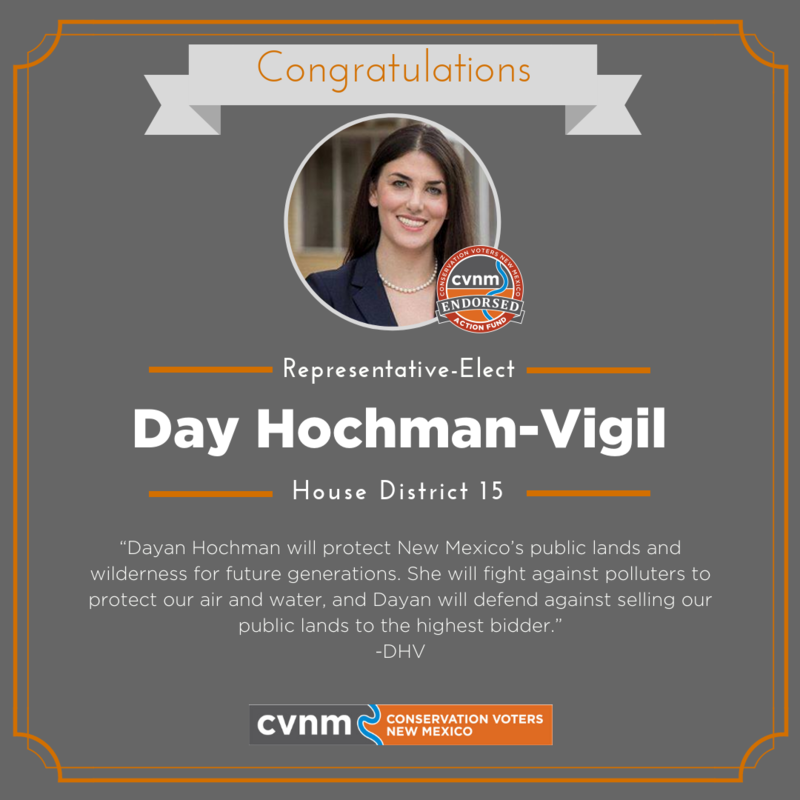 Conservation Candidates (now Representative-Elects) Day Hochman-Vigil, Joy Garratt, Melanie Stansbury, Christine Chandler and Andrea Romero. 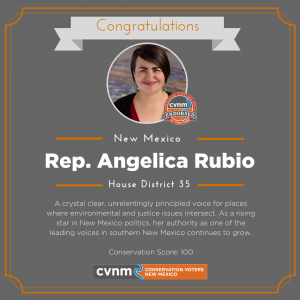 And we're back this morning, reporting remaining outcomes for conservation candidates. 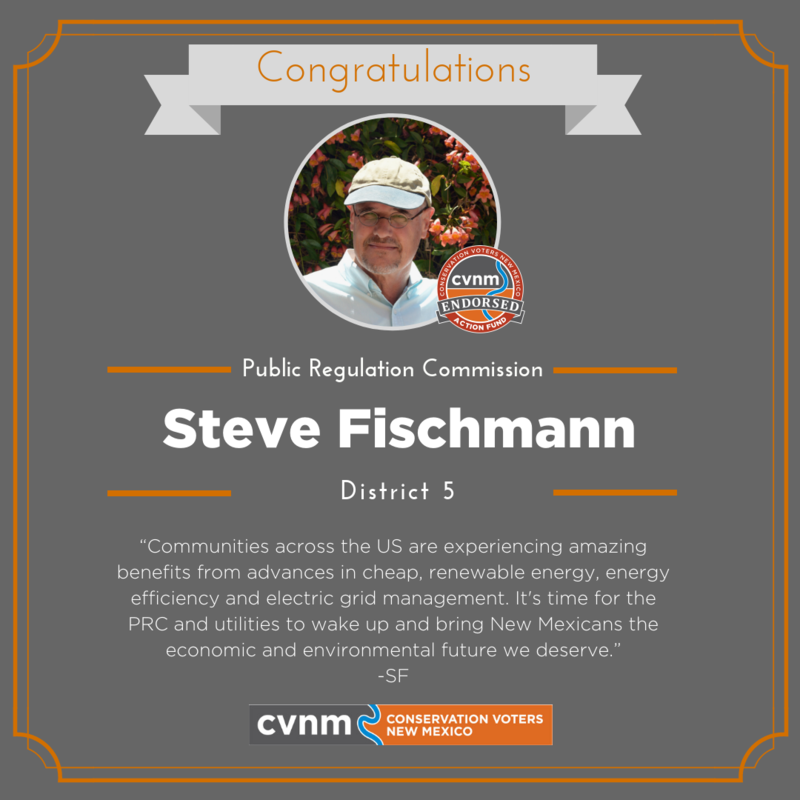 Dona Ana County has about 8,000 votes remaining to count so many races in the southern part of the state are up in the air.To kick it off, we are excited to congratulate Steve Fischmann for his win in Public Regulation Commission District 5! 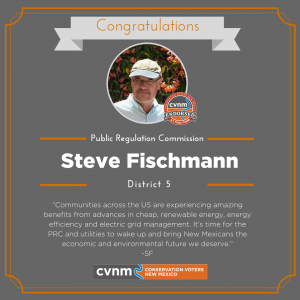 Thanks for following folks! The CVNM elections team is calling it a night.It's beyond exciting to see record-breaking voter turnout across New Mexico, and that translate into conservation candidates winning up and down the ballot.We'll be back tomorrow with the remainder of the results in our endorsed races. 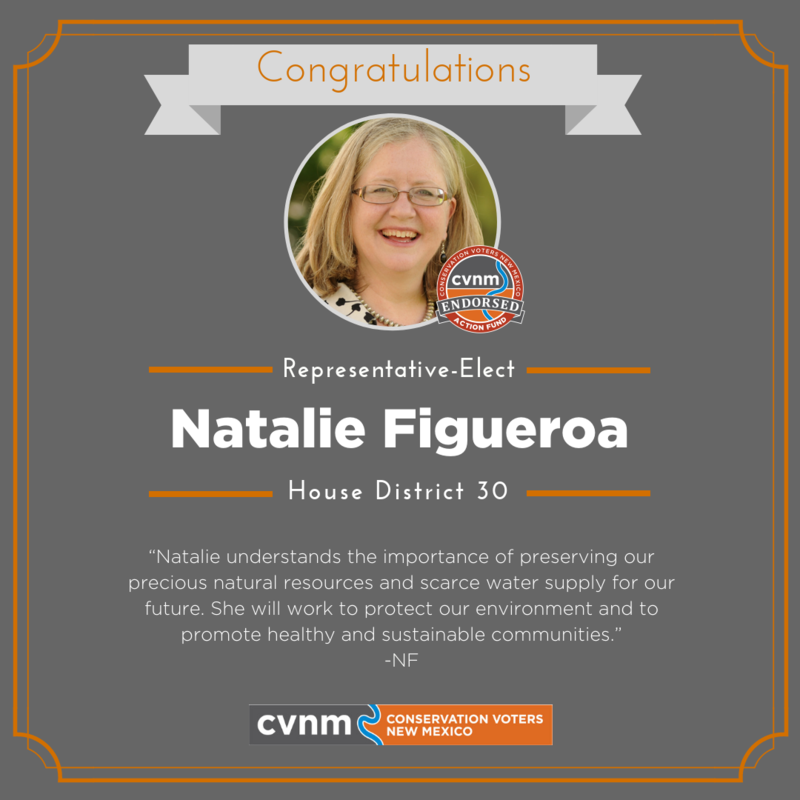 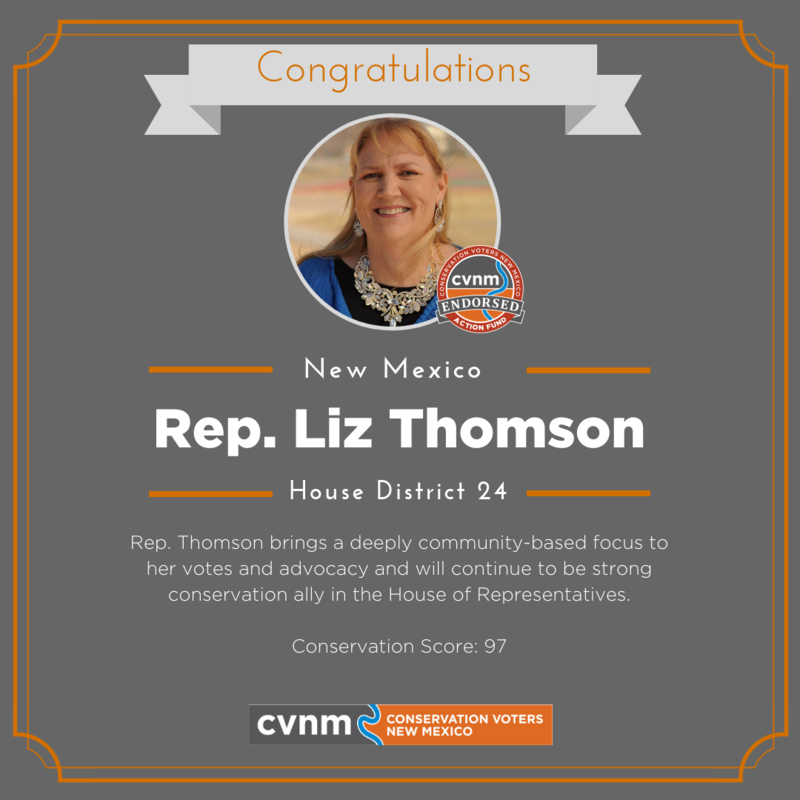 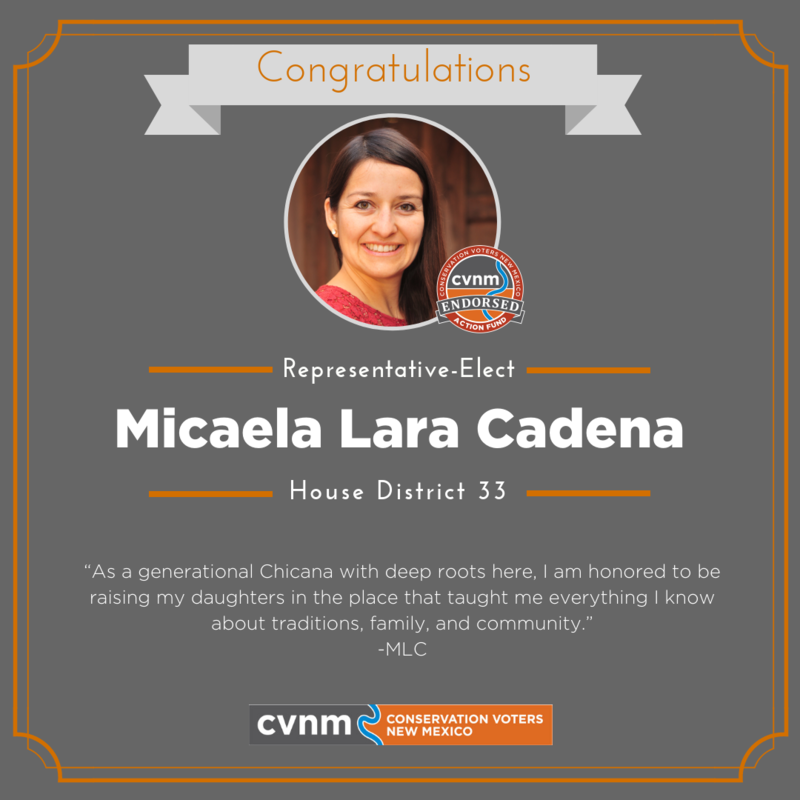 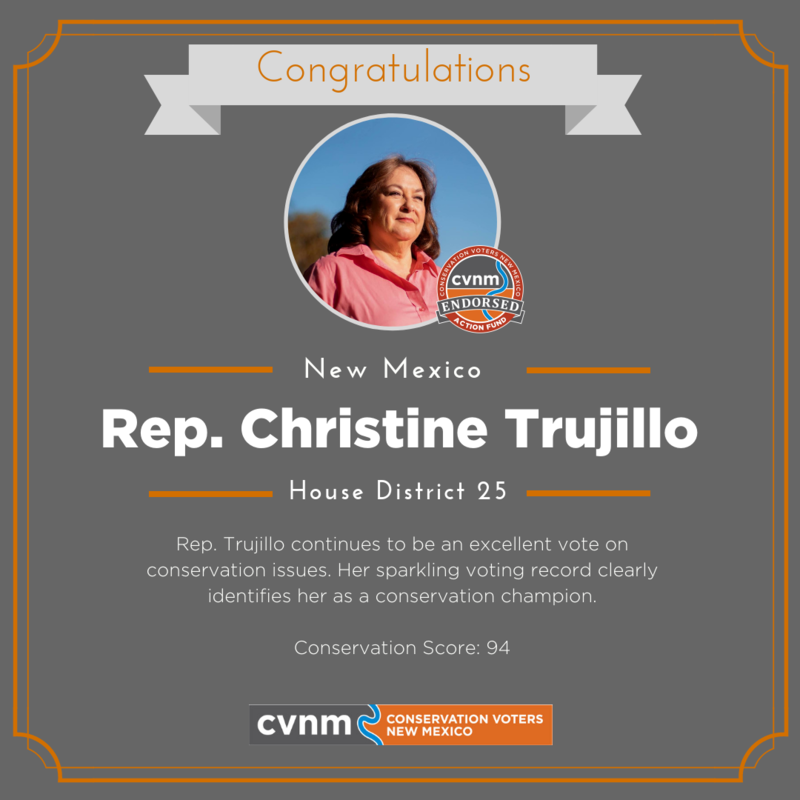 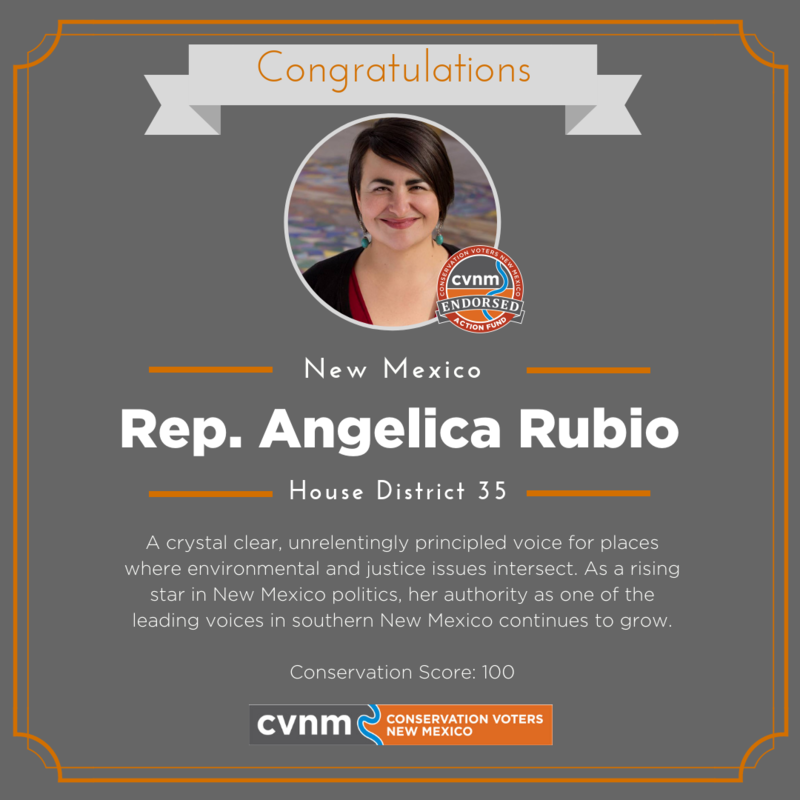 Conservation Champions Rep. Liz Thomson, Rep. Matthew McQueen, Rep. Joanne Ferrary, Rep. Angelica Rubio will continue to stand up for our air, land and water in the House.CVNM is excited to welcome Conservation Rep-Elects: Micaela Lara Cadena and Natalie Figueroa! 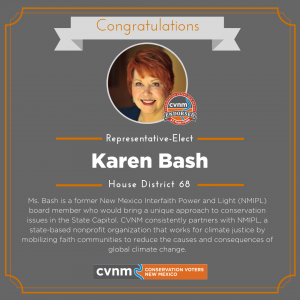 With Karen Bash's win, we have upgraded HD 68's conservation representation. 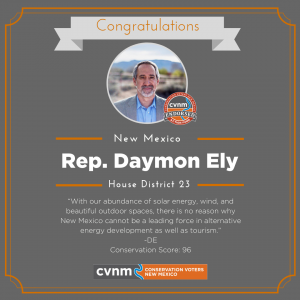 With Rep. Ely's win, we have protect a conservation champion in the House of Representatives. 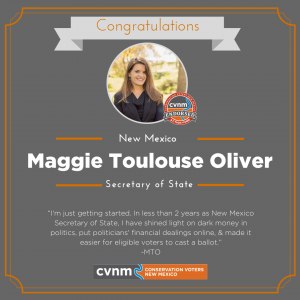 With 57% of the vote in for Secretary of State Maggie Toulouse Oliver, CVNM is excited to congratulate her on her win! We look forward to continue working with Maggie to ensure every vote counts in New Mexico. 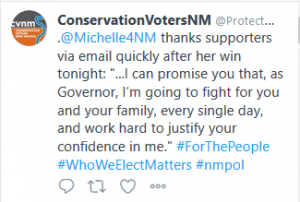 Governor-elect Michelle Lujan Grisham made sure to thank her supporters via email soon after her win tonight. 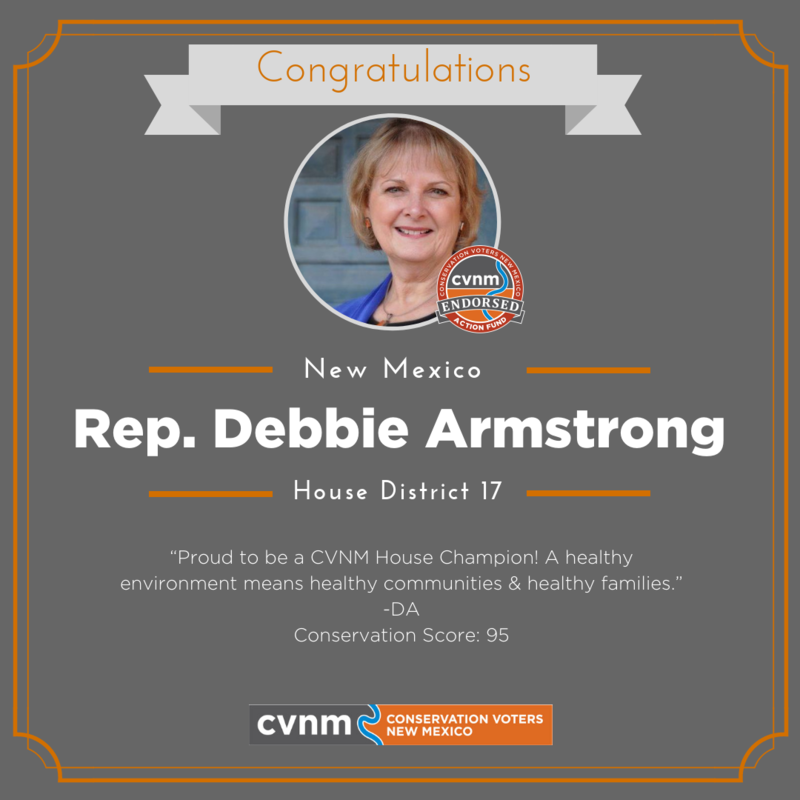 Rep. Debbie Armstrong’s win in HD 17 means we have protected a strong conservation voice in the House. 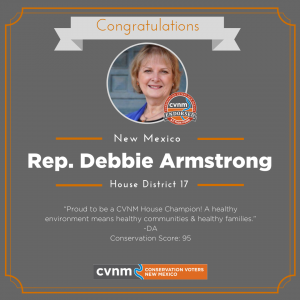 With 66% of the vote in, CVNM is calling HD 17 for Rep. Debbie Armstrong. Congratulations! 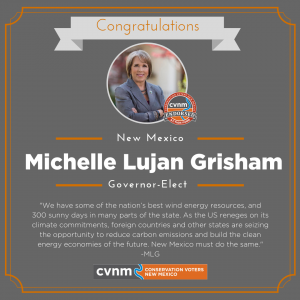 New Mexico is ready for Governor-Elect Michelle Lujan Grisham! 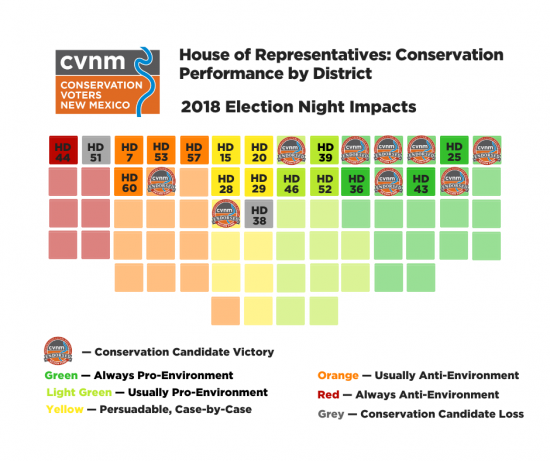 The conservation performance of the House of Representatives going into Election Night. 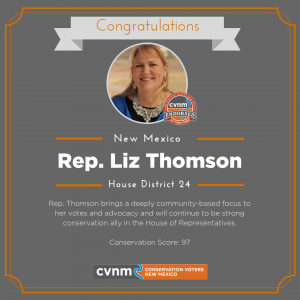 CVNM's electoral work in House races is laser-focused on a specific goal: to secure a pro-conservation majority. In order to achieve this goal, we worked to protect our current conservation champions (dark green on the spectrum) and secure four more pro-conservation seats. 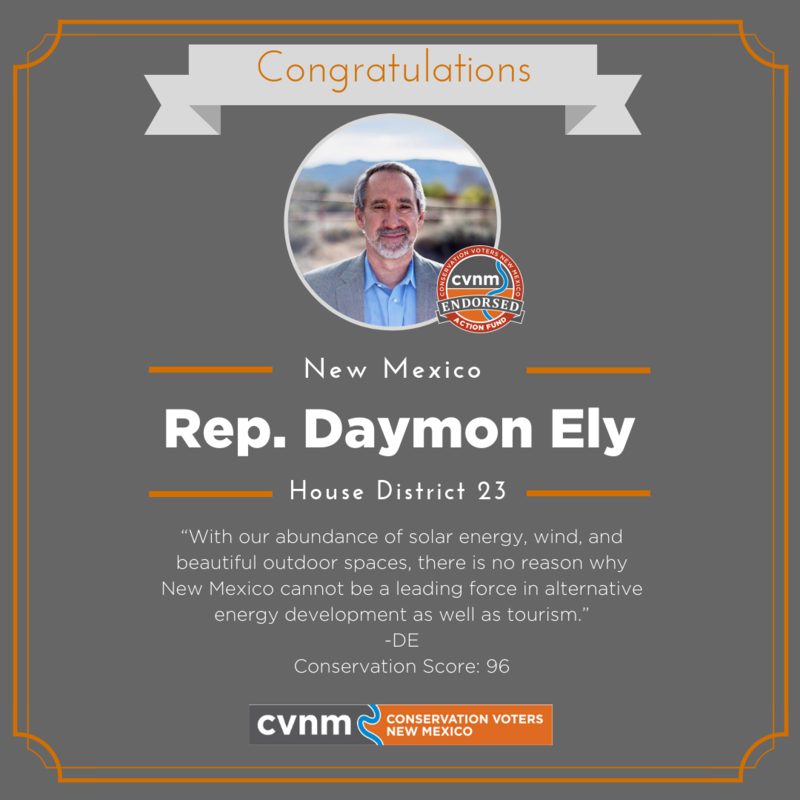 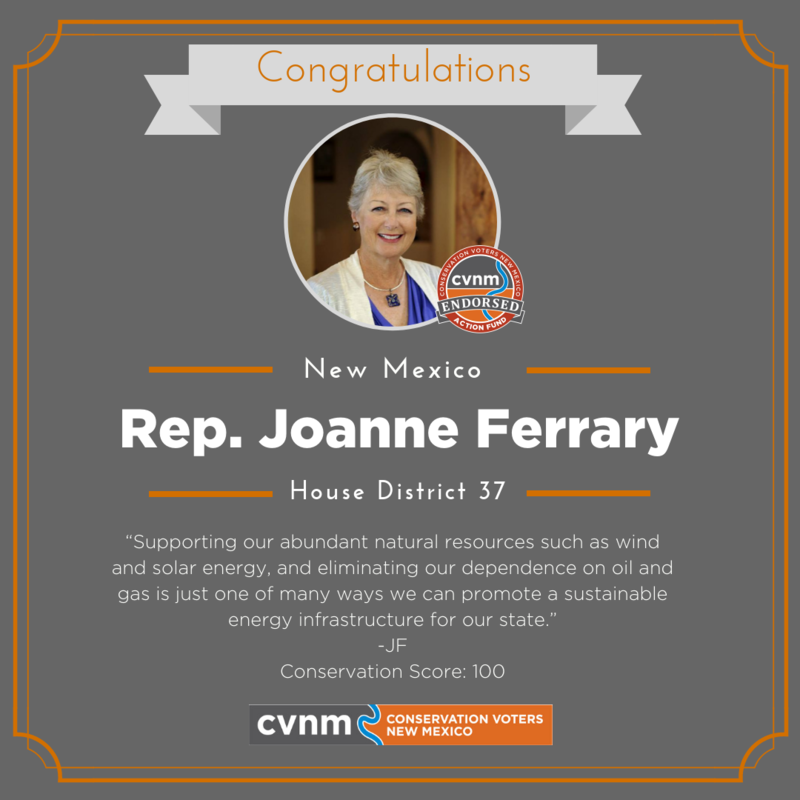 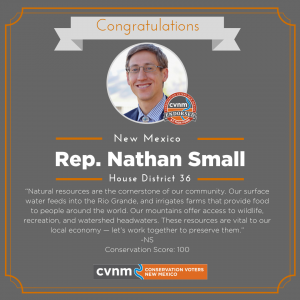 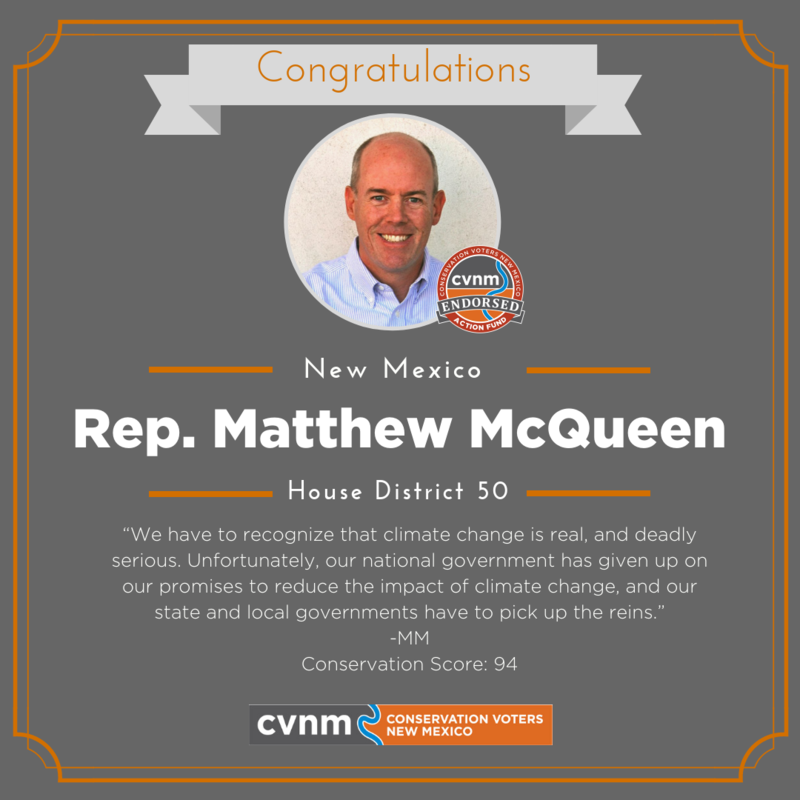 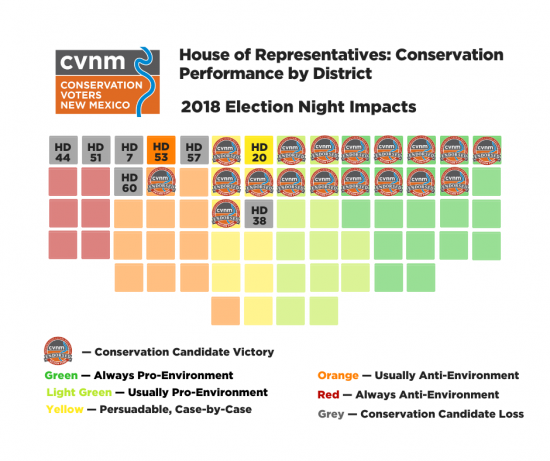 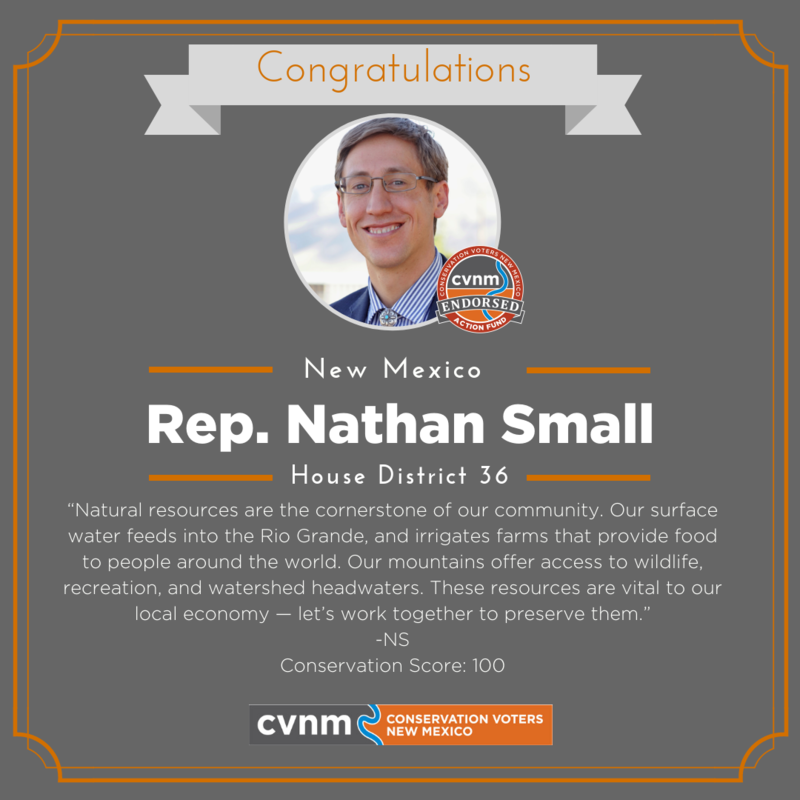 CVNM strategically focused on 26 House races in which we are either working to protect a proven Conservation Champion or where our assessment determined that a viable candidate could improve the conservation performance of the seat. We’ll be updating this spectrum throughout the night.